The Bettendorf-Reisdorf route is particularly varied and challenging. 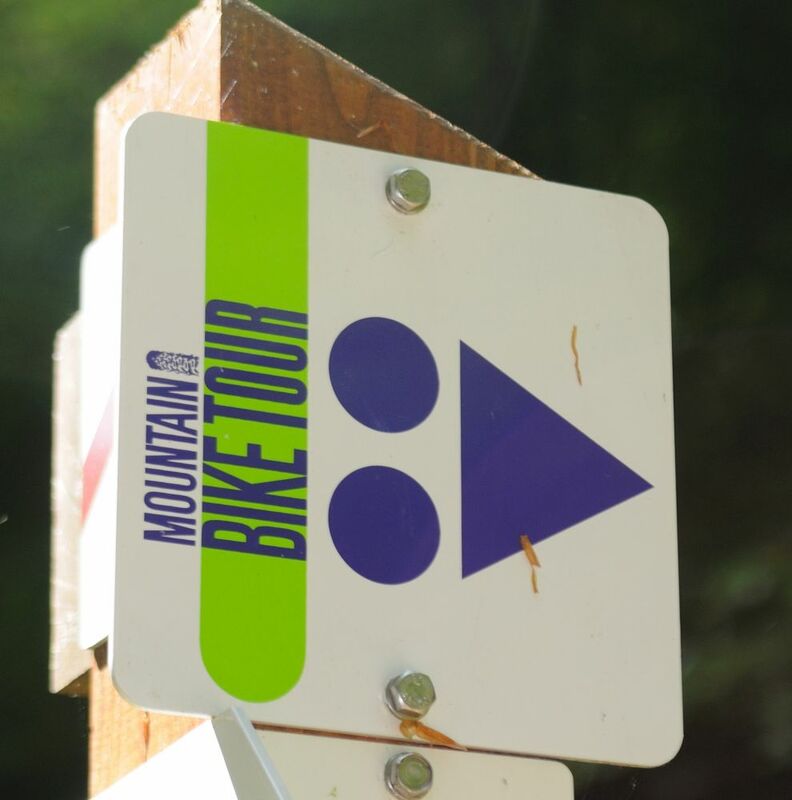 The mountainbiker will be faced with some steep climbs, as well as taking both tarmac roads and forest tracks, but the viewpoints over the surrounding scenery are well worth the effort. Watch out for walkers which you may meet on the „Promenade du Souvenir“ between Bettendorf and Reisdorf, a walk dedicated to confrontation between American and German troops during the so-called Battle of the Bulge. Stop at the explanatory panels and learn something about the turbulent history of this beautiful region. A way to combine sport and culture. After starting near the bridge over the river Sûre, you pass in front of the castle and cross the main road. A little later, you leave the last houses and busy streets of Bettendorf behind you, to make a steep climb for 2 kilometres up a country lane leading to the Mëtschenhaff. 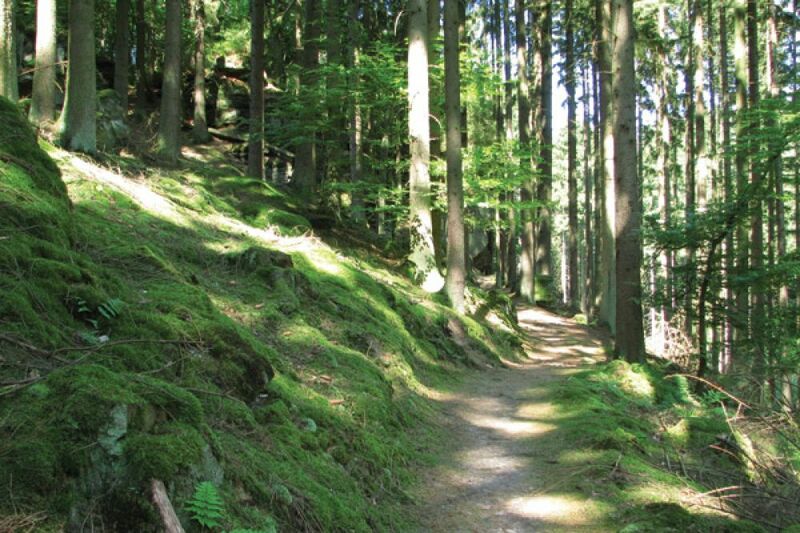 The route continues through the forest to the Heicheler Bësch, then in direction Bilgeshaff through the Léibësch. 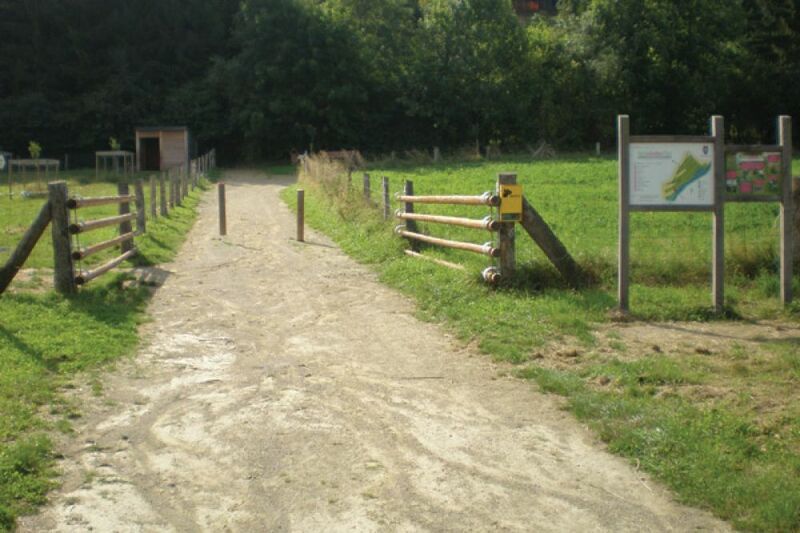 At the Bilgeshaff, take direction Hoesdorf, and join the “Promenade du Souvenir”, which at first is only a narrow path. 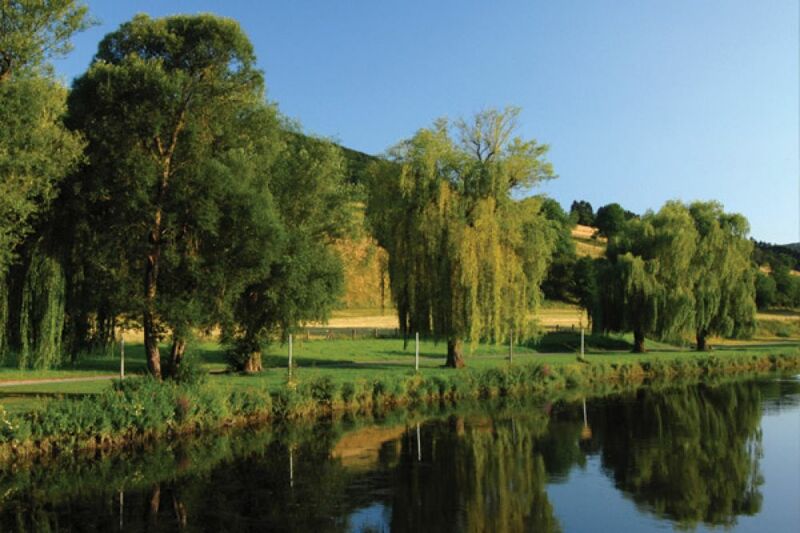 At Hoesdorf, continue towards Wallendorf/Reisdorf. After you have crossed the river Sûre, a second climb leads you to the Koopbësch. Then ride down the Schoofsbierg towards Moestroff. Your route then joins a cycle path going back to your starting point.